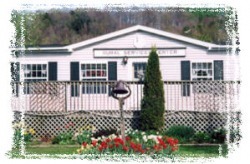 Cortland Chenango Rural Services, Inc. Established in 1987, Cortland-Chenango Rural Services started as a rural ministry of the Catholic Diocese of Syracuse. In 2013, we incorporated and received non-profit status as a 501(c)(3) corporation. Located in Cincinnatus, NY, it serves people in the rural areas of Cortland and Chenango counties. Rural Services believes in the dignity of all persons and seeks to foster those conditions which promote the opportunity for full human development. The staff works in a partnership with the community through its volunteers and an executive board which represents all facets of the community's life. Together they assess the local needs and offer assistance to all persons as an extension of God's love. Our service area covers the towns of South Otselic, Lincklaen, Pharsalia, Pitcher, German, McDonough, Taylor, Cincinnatus, Willet, Solon and Freetown. A donor will match $1.00 for each $1.00 given up to $2,000.